My name is Kenneth Chism. I am licensed as an Installer II and Site Evaluator by the Texas Commission on Environmental Quality. The Chism name has been well known in the septic installation business in this area of Central Texas for many years. 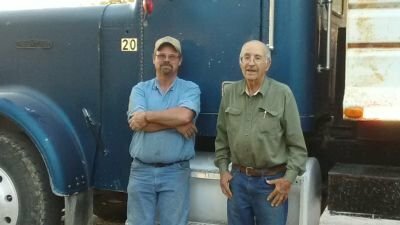 I got my start with my uncle Bill Chism and now my son Glen Chism has joined the business. Glen is licensed as an Apprentice by the Texas Commission on Environmental Quality. We strive to provide the same level of service that has come to be expected when you hire a Chism to do your job. We look forward to working with you on your new septic system, and any other site work you may need done to make your house a home. We also offer repair work to existing systems as well as septic inspections.